I’m sharing a personal vignette in this blog because so many of you share similar struggles. I want you to feel unashamed and know you’re not alone. I want you to know there’s an infinitely effective tool to help. It’s called EMDR, and we’ll talk all about it. I’d like this blog to serve as a reference, so to break it up into shorter parts doesn’t make sense. There are lots of hyperlinks (which are the red and non-bold words) in the text, so you can read and gather information to your heart’s content. Also, we address some heavy stuff here that few people talk about. Why? I want you to find understanding, connection, and solutions as you read on. For as long as I can remember, my Mom and Grandma have described me as a worrier. Some of my earliest memories include worrying about getting lost in a sea of people in New York City–where I grew up–when my Mom and I weren’t holding hands. On one such occasion, I walked up to a priest standing outside his church after mass, tugged on his vestments, and worryingly inquired about why he was wearing a dress. The priest wasn’t impressed; I still remember the disgusted look on his face. Most of my worries weren’t nearly so trivial though. I worried excessively–to the point of feeling perpetually nauseous–because I felt unsafe and misunderstood. I felt like I had no voice. My lack of appetite flummoxed my food-loving Italian family and became the source of jokes because I’d sometimes take hours to eat one meal. They’d coined many dinners “novena dinners.” In the Catholic church, a novena is a form of worship that lasts nine consecutive days. For decades I just thought, “Oh, that’s normal for me.” Only later in psychotherapy did I learn the nausea and subsequent lack of appetite were hallmark signs of anxiety resulting from emotional neglect and abuse. It’s not a coincidence that so many of my clients share a similar childhood story, and they turned to sports as a coping mechanism, just as I did. Sports offered a solace…a safe place to be seen, heard, and encouraged. Sports became a vehicle for gaining confidence and strength, both physical and mental. Props to our childhood brains for seeking out healthy outlets! I’m still in awe my brain led me to horses and equestrienne adventures. I joke that without horses I’d be in a corner rocking back and forth. That may not be far from the truth. With sports as our only coping mechanism, we leave ourselves no fault tolerance which is why so many athletes fall to pieces when injury strikes. Until my injury in 2010, hard bike rides, long hikes, and Nordic skiing workouts virtually silenced my brain’s worry cacophony. Countless studies show vigorous exercise ameliorates anxiety and depression by helping clear the body of the stress hormones adrenaline and cortisol and, at the same time, stimulating the production of endorphins–nature’s pain killer and feel-good hormone. Some studies also indicate exercise can increase the production of the neurotransmitter serotonin, lacking in people with anxiety and depression. I’ve accepted that I may never be able to get the lead out like I used to on the bike; however, my brain chemistry hasn’t reached the same peaceful acceptance. Unfortunately, I have no way of explaining my acceptance to molecules in my brain; they don’t listen well, or at all. Without regularly turning myself inside out on the bike, my brain dove into ineffectually searching for an anxiety salve. I can confidently say I’ve tried most everything to quell anxiety–multiple creative outlets, meditation, yoga, acupuncture and Chinese herbs, cold-water distance swimming (consistent miles of cold open water swimming provide a temporary anxiety refuge, but for me it doesn’t provide the global relief cycling does), traditional psychotherapy, and calling on my steadfast and reliable support system. Each one of these practices helps in its own way, and they’re all still part of my daily mental workout. Despite a substantial time and emotional investment in ameliorating my anxiety, the reality remained: the longer I went without a means to really exorcise (or indeed, exercise) the demons on my bike, the more I felt like hungry tigers were chasing me. I grew desperate for relief from the adrenaline that persistently coursed through my body. Fortuitously, someone I met through a mutual friend planted a seed. You’re injured. Your stress level slowly boils over as your normal easygoing disposition evaporates. Then, you hear it, faintly at first. Beep beep beep. A U-Haul packed with all life’s challenges the crap (read: stress) you’d long buried on long runs and bike rides backs up and mercilessly dumps its contents upon you. Before injury, you were able to hoist this crap off your lap and into the background of your life because you could run, walk, cycle, or move in some way to cope and relieve stress. Now, those activities are out of the question. You feel trapped, forced to lie beneath the pile of stress with no means to process and escape it. This scenario plays out over and over with my clients. It leads nowhere good–straight down an Autobahn of anxiety and depression. Want an exit off the anxiety Autobahn? The colors, textures, and smells nature offers will help ground your mind when you’re feeling anxious. 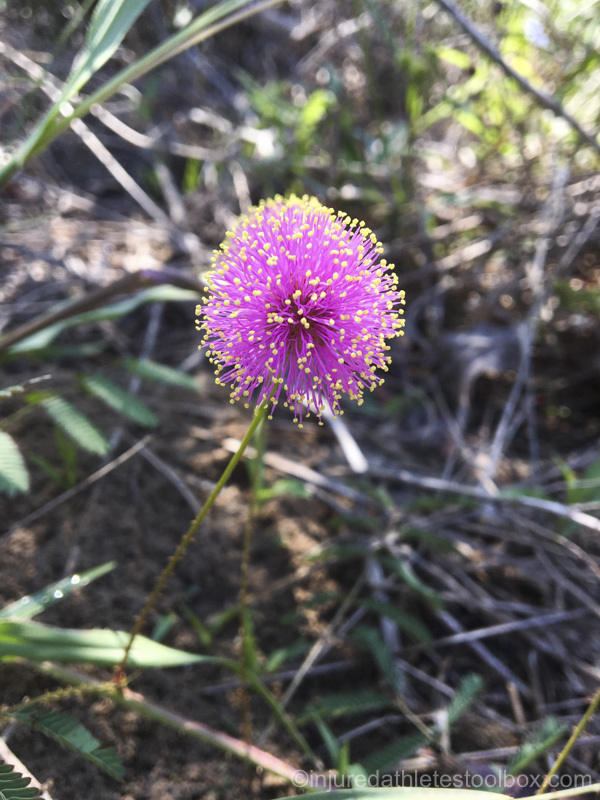 This Nuttall’s sensitive briar is one of my favorite wildflowers. I call it nature’s fiber optics. I offer many solutions through one-on-one coaching and in my blog for coping with this perfectly normal but confounding pitfall. In addition to working with me, many of my clients also seek the help of a psychotherapist. My role is to help clients move forward from their injuries, but, in some cases, crap from the past becomes a barrier to acceptance, progress, and healing. If that happens to you, it’s time to find a good psychotherapist who practices EMDR. EMD-what, you ask? EMDR is a powerful modality (that’s psycho-jargon for “technique”) that will help you heal (emotionally and physically) by transforming the way your brain processes stress and trauma. Preliminary evidence points to EMDR changing activation patterns in and metabolic function of certain areas of the brain. You can read more here under the “What does the research show about the neurobiological aspects of EMDR therapy?” heading. You’ll also find lots of research references on the EMDR Institute website. Neurobiology is an emerging filed, and I believe we’ve only scratched the surface of understanding how EMDR physically changes the brain. I know. I know. Your brain is just fine; you’re doing OK. If you’ve read this far, you have a pulse and can therefore greatly benefit from EMDR, so please keep reading. Think of EMDR as both a solution and an opportunity. 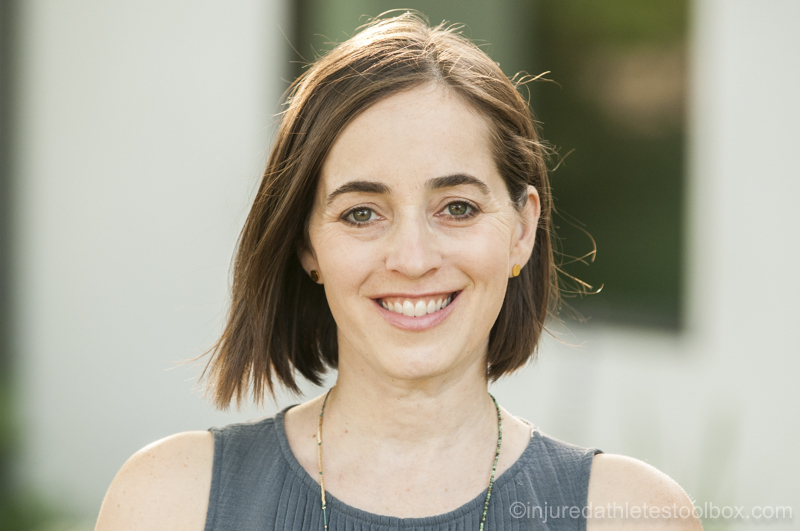 I talk often about the opportunities in injury. Perhaps the most important one is the opportunity to move forward unburdened of behaviors and habits–often unconsciously born of past trauma and stress–that no longer serve you. We all have them. Can you think of two or three in your own life? Are you defensive? Or maybe short-fused? Are you anxious? Do you shut down or lash out during heated conversations? At the beginning of 2016 I descended into the darkest part of my injury recovery and discovered-for me, at least-mental struggles are far worse than physical ones. I felt worked over by my brain on a seemingly-constant basis. I couldn’t break free from anxiety’s grips. And just to keep things interesting, another uninvited relative, depression, visited with the subtlety of a bomb in the form of suicidal thoughts–not because of my knee fracture, subsequent arthrofibrosis and 8 surgeries, but because, no matter how hard I tried, nothing ameliorated the anxiety. I had become a prisoner. Note: While I’ve always leaned toward anxiety, I’d never describe myself as anxious pre-injury. Post-injury, my primary coping mechanism vanished which opened the door to anxiety. I’d had enough, and, thankfully, remembered Jill talking about EMDR. So, I called to ask her more questions. “Does EMDR work for anxiety and depression?” I asked. “YES! It’s very effective for both. I’m so happy you’re going to try it; it’s such a powerful tool,” Jill replied. Jill recommended a therapist and I started EMDR therapy the next week. Note: After clicking on the images below, a “lightbox” will open. In the “lightbox,” click on the maximize icon at the top right to view the full size image. After a few background-gathering visits, we began actual EMDR. Shockingly, I felt its effects after just one session. At the beginning of the session, thinking about “feeling unsafe” [because of childhood trauma I’d long since forgotten or dismissed before my injury] made my heart race and my stomach turn to the point I wanted to throw up. At the end of the session, I thought of “feeling unsafe,” and my heart and stomach remained calm…and so did my brain. Over the course of the next few months (remember: I was in a deep hole. Not everyone’s course of EMDR will last as long as mine did. ), my therapist and I worked through each one of my issues (called negative connotations in EMDR) contributing to my anxiety. In a sentence, EMDR has been a linchpin in my mental and emotional recovery from injury. Anxiety and depression stem from issues or trauma in the past (less-than-favorable childhood, abuse, neglect, bad relationships, accidents, etc. ), whether or not we’re consciously aware of the trauma. That trauma represents a rampart for most injured athletes, preventing them from reaching acceptance and moving forward mentally because of how the brain stores traumatic memories. You can find more citations for articles about AIP here. EMDR rewired my brain and my life. Instead of thoughts traveling down a deeply-rutted road–Autobahn, really–of anxiety and depression (your demons may be different…EMDR will still work for you), my brain has architected new paths–scenic back roads where I actually have time to process and determine if I’m actually being chased by hungry tigers–time to think of whether I need to be anxious or not. I believe I’m still here because I met Jill; that’s how profoundly EMDR changed the course of my life, so I want to share with you its inner workings and how it can affect your recovery. When bad things happen…when you go through an awful event or a trauma or just a yucky thing, sometimes your brain doesn’t process that information adaptively. You brain goes into survival mode. You just have to get through whatever is happening in that moment. Then–whether it’s immediately or later on in life–the stress catches up with you. You might start having symptoms of whatever that trauma was you went through because your brain shoved the traumatic experience in a location I’ll call the “lizard brain” (aka amygdala). This part of the brain is not attached to the thinking brain. It just reacts. So, you’re left over with feelings that didn’t get processed in an adaptive way. EMDR is likened to REM sleep in that your brain starts to adaptively process traumas using bilateral stimulation. When you’re in REM sleep, your eyes move back and forth, so in EMDR you elicit a similar bilateral stimulation response which puts you into a relaxed state and allows your brain to heal and do what it needs to do to adaptively process. EMDR allows your brain to take information that was once scary and awful and processes it, so you’re left with a calmer view of whatever happened. You have a less visceral and emotional reaction when you think about it or when a similar event happens to you again. It’s not like you are going to forget it, but it’s not going to be as triggering to you anymore. Think about the last time you had food poisoning. Your brain reflexively remembers what caused the trauma and the next time you’re exposed to it, you have a visceral negative reaction. If you want to eat that food again, you need to take methodical steps, calm down the lizard brain, and reintroduce it to your senses gradually. Then again, if the offending meal was a tuna sub at a Subway in Fort Stockton, Texas, well, my husband has never felt the need to reintroduce that to his diet. Similarly, you may have a visceral reaction to riding your bike in the rain if you remember breaking your collar bone the last time you rode in the rain and went into a corner a little too hot. That actually happened to my husband too. He doesn’t have a visceral fear of approaching a wet corner today, but he does consider the factors that caused the crash, and exercises caution when he’s riding on wet pavement. Had his brain and body flinched every time he saw a wet corner, he would have been unable to ride safely, and been a perfect candidate for EMDR. By changing the way your brain reacts to memories and events, EMDR changes the way you think about yourself. A lot of times when we go through hard things, we’re left with a negative view of ourselves. Maybe we think it’s our fault. Maybe we think we had something to do with whatever happened. Or we don’t feel safe. So, what happens is: during EMDR–and this is one of the magical things about it–we change our view of ourselves. So, for example, we go from thinking “it was my fault” to thinking “I did the best I could.” Or, maybe before when we were in certain situations, we didn’t feel safe. Now if we’re in a similar situation we feel safe. We know we’re OK. Our brain isn’t operating from the reactionary “lizard brain” anymore. We can actually think through things. What are the things you see athletes struggle with in your practice? And how can EMDR help unravel and reprocess some of these things? With injured athletes, something really joyful and good in their life has been put on hold or taken away, so there is loss and grief. There is anger and sadness. 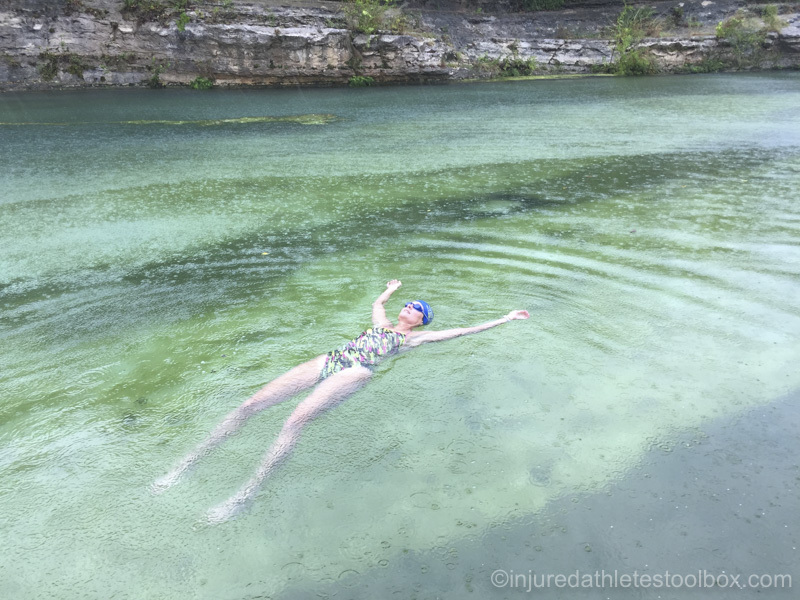 I often hear injured athletes recount feeling like they’re weak or something is wrong with them because while pushing through pain and persevering serves them in their sport, it doesn’t make their recovery any faster. I think there is a lot of self-doubt with injured athletes; their self-esteem can be wrecked. Injured athletes can have a full on existential crises. I remember when I had a calf issue while training for a marathon and I had to opt to run a half-marathon. I felt like my life was over–and running is just a hobby for me. I can empathize with the loss. Can you please take one of the things you see most commonly with injured athletes and talk about how EMDR can help with that? The thing that pops into my mind is the loss of this piece of your life that you don’t have anymore–the loss of identity. EMDR can be helpful people change their negative thoughts into positive ones. Injured athletes are left with a lot of time to think, that’s when negativity can creep in. Just like the backup alarm effect I mentioned earlier? If someone’s willing, they can take an inventory of that truck, decide the top 5 things (traumas, bad habits, stressors) that come up all the time, and track back and see if those are things from the past. They usually are. Then we can use EMDR to help reprocess that trauma or memory and we can begin to lift items out of the U-Haul truck. The brain is amazing at healing itself. It will figure out how to switch that negative into a positive and help shift your perspective. 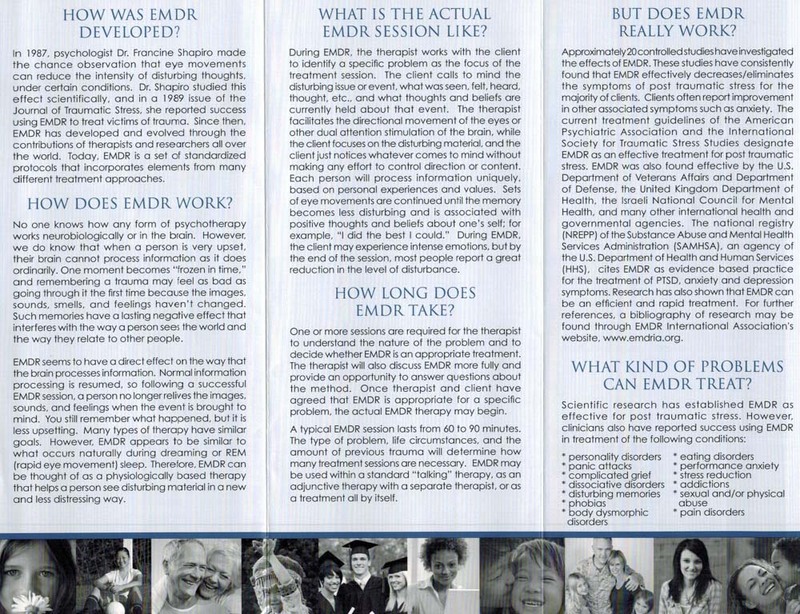 How does an EMDR session work? What does it look like? EMDR is the therapeutic process. It’s a process of getting to know the person first–getting to know their background. Then we’ll do some information gathering–What’s coming up? What do we want to work on? In an actual session, people first think about whatever incident, stress, or trauma they’d like to work on. Then I’ll ask them to track back on a feeling similar to one they’re feeling today. We’ll track back to see when in the past they’ve felt that feeling. Then I have them imagine the worst part of that image and ask them to tell me what feelings are coming up and where they feel it in their body (EMDR is a body-centered therapy meaning I’m constantly checking in to see where clients feel different in their body–for example, a racing heart, or a warm face, or nausea.). Then we do a couple of rating scales. We find out what the level (1-10) of disturbance is so we can track that and see if it’s going down. I also ask “How true do you think that positive statement is?” Usually people don’t think it’s so true at first. Bilateral stimulation (like we experience in REM) is how the brain starts to process the event. We do a short couple of sets as I’ve described and I frequently check in to see what people are feeling and experiencing. Earlier I mentioned EMDR is likened to REM sleep (both elicit bilateral stimulation of your brain and back and forth eye movement). REM sleep allows you to fully relax, process the day’s events, and eliminate unnecessary information. Crick and Mitchison published a study in 1995 about REM sleep being reverse learning. In other words, we dream (REM sleep) in order to forget. Similarly, EMDR is a means to allow you to relax and uncouple a traumatic event from the emotions surrounding it. You can read more about EMDR and REM here. At the end of each session, we see if people believe their positive cognition. When they believe the positive cognition, we know things have shifted. People end up believing the positive statement, and they almost can’t see the negative image anymore. EMDR is not exposure therapy. We do it in a grounded way. The bilateral stimulation keeps you grounded and relaxed, and I always tell clients to look at their negative images like you’re on a movie screen or on a train just watching scenery go by. EMDR is very different than talk therapy. There is not a lot of talking happening with EMDR because it’s the client silently going back and imagining what was going on in the past and checking in with their body to see what they’re feeling and where…until the thought processes through to the end. What about the thought that EMDR is like hypnotism? Is it? EMDR is not like hypnotism. The difference is that I’m constantly checking in with the person during EMDR. We’re constantly connected. The person is not drifting off into a trance. This is interactive. If someone is fearful because of past trauma, we would do a lot around the fear before we touch the trauma. With EMDR, the person is in a relaxed state and opening their eyes and checking in very often, sometimes every minute. I feel like issues after injury arise primarily because of the backup alarm effect I mentioned. You can’t move so you can’t process your life stresses–past or present. When people can’t process or run (literally) from stress, their inherent brain wiring that exercise normally silences takes over. So often this is anxiety or depression. There are people who use exercise to control depression and anxiety, and when they can’t do that anymore, they fall apart–much like I did. How can EMDR be helpful in this scenario? When you’re depressed and anxious you can go into a negative shame spiral, so you can use EMDR to get out of the spiral. A lot of times these things stem from things from the past, and running, for example, becomes a coping mechanism. So we can use EMDR to help the person feel better about themselves, then help them find new coping strategies. I want to help the person feel better about themselves and remember what it’s like to think positively. The person who has been injured gets de-coupled from their coping mechanism and their emotional cheese is hanging out in the wind; they don’t know how to ground themselves anymore. For all of us, I feel like if we dig deeper, the feeling of vulnerability comes from stuff from the past. I can do positive installations with people helping them think of another time when they were really hurting or they were going through a hard time. How did they get through it? They might not have even remembered. But, after we talk, they remember, and we can use EMDR to enhance that because sometimes it’s hard to feel strength when you’re sitting there feeling anxiety. The bilateral stimulation elicits a relaxed place and you can more easily get to the feeling of strength. When people get injured, they feel like it’s too overwhelming and can’t deal. I like how EMDR can go back into the brain archives and find instances where you expressed extraordinary strength, which proves…Wait! You can do it. I’ve had clients go back and remember childhood things that were happy…soccer games they won or playing with friends. We’ll think about it and talk about it. I’ll ask them to describe the sounds and smells and colors associated with those good memories while I have the tappers (bilateral stimulation) going. Then we work on them bringing those happy feelings up for themselves outside of the office. I liken EMDR to a cleaning up a galactically messy office, and the office is your brain. Before EMDR the office looks like someone’s testing missiles in it. Strewn about are empty files and papers (aka your past trauma and current stress). Every day, you walk over the mess to get to your desk, berating yourself about what a disaster your office is. You frequently look down, reading the text (details about past trauma and current stress) on the paper. You cannot escape the reminders and stress. EMDR takes all the empty files and papers, cleans them up neatly, and places them back in a file cabinet in the corner of your office. The files and papers (aka your past trauma and current stress) are still in the same room with you, but you aren’t walking all over the mess day after day. The trauma and stress is now stored in a corner. It’s not gone; it’s just neatly controlled and contained. I like that! I think of it this way: A trigger is when the thinking mind goes offline and the feeling mind (amygdala/lizard brain) that has no parameters takes over. Before EMDR, the backfire that is triggering causes the amygdala takes over and tells you to hit the deck. You’re brain is amazing. People don’t realize this, but it’s just like you if you cut your finger, you clean out the cut, and put a band aid on it, and your body does the rest. Your brain is the same way. When you start doing EMDR, your brain knows, and you get in a relaxed state when the bilateral stimulation happens. Your brain knows how to heal just like your skin. I think that that can give a lot of people hope. A lot of people are sitting on the sofa thinking will it ever get better. People now know their brain can heal which can change the course of their recovery. We know from research when the brain heals, the body heals. You can be sitting on that couch and wear a groove of negativity, but EMDR helps make a new groove. You may still be on the couch recovering, but your brain doesn’t automatically fall into the negative groove since it has a new groove to travel. What would you say to someone who is skeptical about going to therapy? It’s different than talk therapy [that some people don’t find helpful] in that you’re not sitting down talking about your woes and not leaving with any solution or resolution. With EMDR, you go in with a specific goal and focus to change something. Also, you don’t have to tell a therapist all the details as you would in talk therapy. You’re going for more of a snapshot of the feelings. You can come in with a trauma and not go into detail talking about it, but you can think about it. EMDR is action-oriented, and that’s very helpful for athletes to know. Talk therapy is helpful for a lot of things, but many injured athletes don’t want to talk and talk and never get to the bottom of things. Yes. That’s true. That’s where EMDR comes in. EMDR can help everyone. My clients are often reticent to invest additional time in psychotherapy. They’re already going to physical therapy, working, have families, and, frankly, many either don’t believe in therapy or are scared of the unknown. Investing time in EMDR will unburden and destress you faster and more effectively than any legal activity I can think of. Furthermore, its results are permanent. Like it has been for me, EMDR will be a linchpin in your recovery. Thanks to EMDR, I am here. I’ve turned a gnarly corner and live largely anxiety and depression-free. When my old friends visit now, I know how to cope and move forward with strength and resilience. 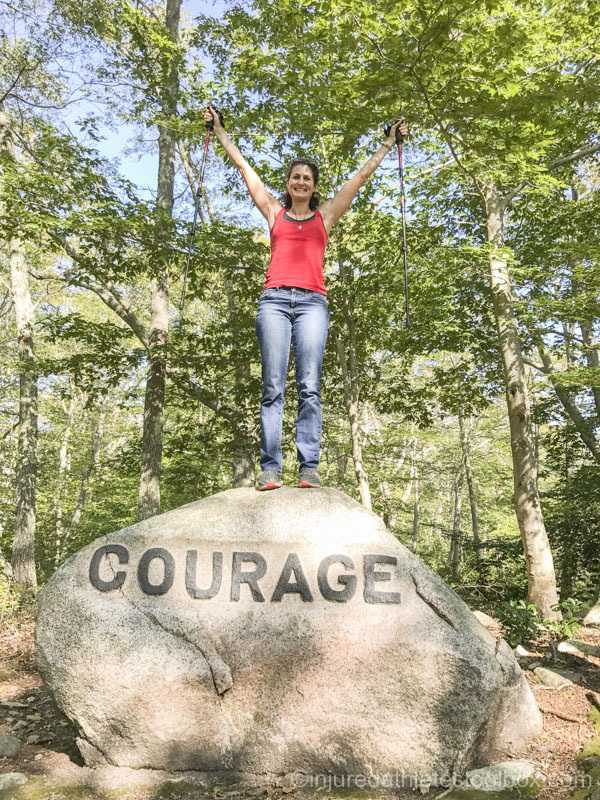 Hiking Dogtown in Gloucester, Massachusetts…Pathways are dotted with 3 dozen boulders into which unemployed Finnish quarry workers carved inspiring sayings during the Great Depression. Reprocessing traumatic memories through EMDR frees up your brain to focus on positive and productive thoughts like strength, resilience, and physical healing. The faster you heal trauma, the faster you move forward mentally. And, as we know, moving forward mentally begets moving forward physically. You can search for therapists who practice EMDR here (After you choose a zip code, you’ll arrive at a screen where you’ll see therapist’s names on the right and categories by which you can sort on the left. Scroll down to “Treatment Orientation” on the left and select EMDR.) and here. If you’ve experienced EMDR therapy in the past or choose EMDR therapy based on this blog, drop me a note at [email protected] and let me know how it affected you. Jill graduated from the University of Kansas in 1997 with a degree in social work. She worked as a program coordinator in the non-profit sector for several years, but found it wasn’t satisfying her passion for helping others. So, she returned to the University of Kansas and in 2005, earning a graduate degree in clinical social work. After that, she provided counseling at Austin’s Capital Area Mental Health Center, a non-profit agency that helps people who have little or no insurance. It was there she gained experience and sharpened her counseling skills, working with people who struggled with challenges such as anxiety, depression, substance abuse, and relationship issues. Jill also co-hosts a wonderful podcast with her colleague Saira John called Is Child-Free For Me. Jill can be reached here. As a practitioner of EMDR, I found Heidi’s blog entry to be incredibly helpful, clear, and user-friendly! Heidi’s openness and honesty in sharing her story makes this article even more impactful/meaningful. I’m thrilled she is getting the word out about this amazing therapeutic tool that changes lives! Thank you so much for reading my blog, Saira. Thank you also for your kind, supportive thoughts. I hope this blog makes it to exactly the people who need it. Thank you again (and again, and again!) for sharing your experiences and your Gorgeous Baggage. And thank you for breaking this into digestible information-packed chunks. My favorite part: Everyone should do EMDR. Yes! Keep breaking the stigma that active engagement in self-care is only for “certain” people! Gorgeous Baggage. I love it, Kim! Would this be baggage like maybe a valise that a Golden Girl would carry?? Thank you for reading my blog and for your thoughts. I tried to break it down into bits with links for inquiring minds; I’m glad you noticed. Truly…everyone should do EMDR. I appreciate you, Kim! This is such useful information, Heidi! Thanks so much for sharing both the science and your story….I know there are lots of people out there who will benefit from using EMDR! Thank you for reading my blog, Christine, and thank you for your kind and thoughtful comments. You are such an inspiration! I’m so grateful to know you and am so humbled by your words! You are one of the strongest, most resilient and positive people I know! It’s an honor to be a part of your journey! I am so glad that you wrote this post as your words and vulnerability will help so many people who are scared to take that first step in healing. Keep doing what you are doing! You are changing lives! Thank you for your insight and wisdom, Jill. Thank you for making this blog possible. And, thank you for your kind, encouraging words. EMDR is one of the best things I’ve done for myself! Thank you for sharing your personal journey and teaching us that healing may include both the physical and mental. Mental health is so often the “elephant in the room” that we either don’t talk freely about it, or it’s considered it’s own, separate diagnosis from injury or physical disease with no connection. Hopefully your story inspires others and Sparks conversation! You’re welcome, Brandi. I completely agree–mental health *is* the elephant in the living room. Too many people believe admitting to mental strife is akin to admitting defeat or weakness, when really it’s just part of being a normal human being. And then there’s a whole part of society that feels the need to be judge and jury to the people who are struggling, telling them things like, “Why do you need therapy??? Your childhood (or whatever applies) was great! It wasn’t bad at all!” Or, my favorite: “You don’t need therapy.” The opposition and judgment piled on people who seek mental health and balance is the next hurdle after the stigma of admitting there’s a problem. We all can do a much better job smoothing out the path to mental health, removing the stigma and judgement obstacles. You have provided such valuable information. 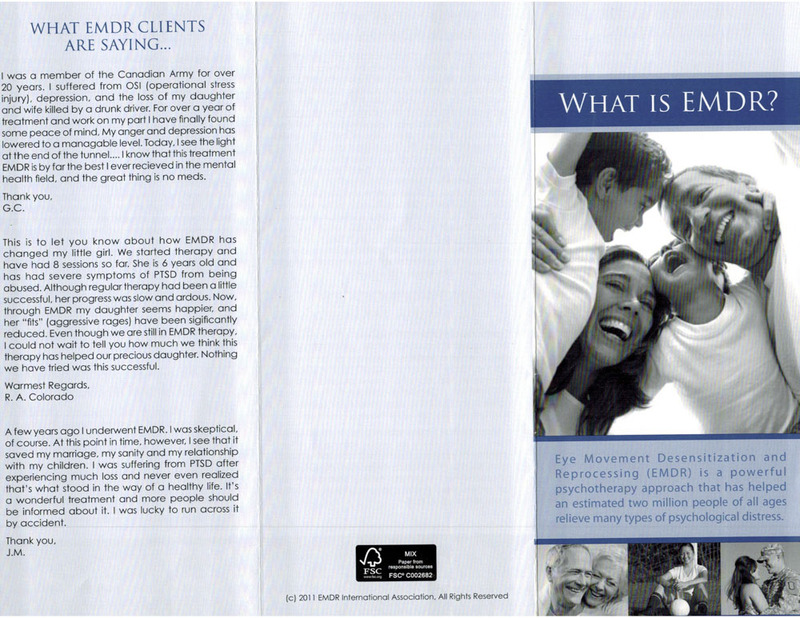 Thank you for getting the word out about EMDR. It is such a powerful modality. Everyone has some degree of anxiety and most feel they are the only ones. It is so helpful to find you aren’t alone and are experiencing the same as so many others. Thank you Heidi for telling your story to benefit others. Thank you for helping them find the help they need. It is a search. Motivation to change is the best step there is. When we are hungry we must seek food. You have provided a feast. Paula, thank you for reading this blog and for your beautifully eloquent and supportive words. Your last three sentences made my heart smile. Wow for such an honest, informative, heart-breaking at times (just want to hug you), well-written article. I so resonated with the line that sports offered a solace (in childhood)…a safe space to be seen, heard and encouraged. Yes Yes and Yes! You took me back in time. Thank goodness for a body that could run hard and bike into the AZ mountains before the monsoon rains soaked the desert. Thank you for breaking the process of EMDR down into digestible chunks for all of us. You did a great job explaining EMDR efficiently and sufficiently and I can’t wait to share this article. I also hope it’s ok if I borrow or (perhaps steal 🙂 when I try and explain the magic of this modality to others! I learned more meaningful tidbits about you, and was reminded of the phrase: be kind to others; everyone is fighting a battle you may know nothing about. Right??! I appreciated some of the overlaps between EMDR and the psychotherapy modality I practice: Internal Family Systems (IFS). Our main job in life is to be the primary caretaker for our parts (thoughts, behaviors, feelings). You work tirelessly to care for your anxiety and depression. I can’t even express how thrilled I am that you found your angel, Jill, and that EMDR has helped these burdens be lightened b/c you don’t need them now the way you did in childhood. They don’t have to work so hard anymore. You’re safe now, darlin’! I’m curious what other roles they’re enjoying besides the ones they were so used to! I loved the interview with Jill–the questions, responses, thank you both for taking the time to share this with us. you are a gifted teacher and we are so lucky for your insight, clarity, courage and writing. Much love and continued wonder woman powers sent your way! Laura! Thank you so much for your thoughtful, heartfelt comments and for reading my blog. I’m still fascinated by just how many of my clients share the same exact story, and by how our child brains drove us to sports as an outlet. You’re most welcome for breaking the process down in digestible bites. My hope is this blog will find its way to exactly the people who need it and inspire them to find an EMDR therapist. Please share, borrow, or steal any parts of it you wish. I *am* safe now, and I’m so grateful for all the support I’ve had overcoming my anxiety and depression, including you. Internal Family Systems has been a perfect compliment to EMDR, and I plan to write a blog about IFS in the coming months. You hit the nail on the head…by turning toward the parts that have been working tirelessly to keep me safe, identifying them, working with them, and learning to love them, they have become serene and satisfied. Those parts are mostly floating on a raft in the ocean…peacefully. Much love back to you, brave sister! Thanks for the great review of EMDR and for sharing your experience! Thank you for reading my blog, Brad, and for taking time to leave a thoughtful comment. Bravo, Heidi! I wanted to include in my comment individual parts that I found most helpful, but I can’t narrow it down! Is it too much to copy/paste the whole article, again, here? As someone who has dealt with so much of the same stuff, I recognize and commend you for continuing to face the sh*t. Most people run away, then wonder why they keep getting the same, miserable results over and over. Your hard work should be acknowledged and praised daily. I think it’s helpful that you included multiple resources in this article for people who are at different places in their life journey. As someone who was previously disconnected from, and repulsed by, some of my emotions, I think I would have found the analytical information that you included regarding EMDR helpful. Additionally, it’s important that we talk more about trauma and all its possible forms. It wasn’t until I began to acknowledge the weight of things I’ve been through that I could allow healing to happen. No one should, or has to, do this alone! Thank you for sharing your story to help others.